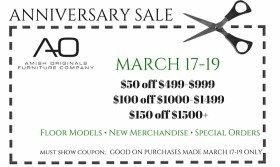 Coming in March: Our Anniversary Sale! These discounts are good on floor models, special orders and new merchandise. For floor models already on sale, customers may use the greater discount but may not use both. 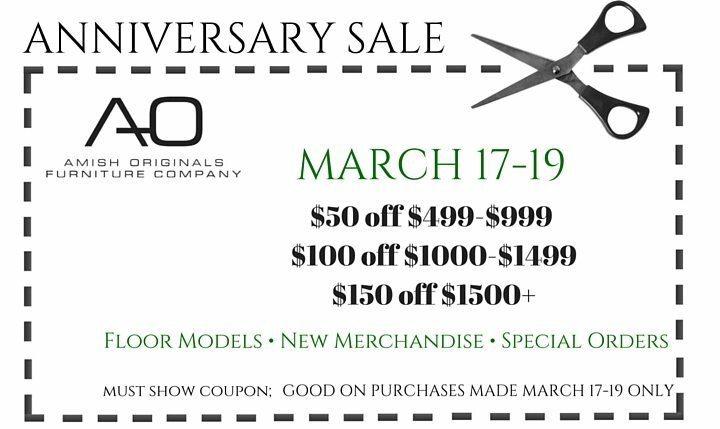 If you have questions regarding the specifics of the sale, please feel free to call the store at 614.891.6257.